I was walking home yesterday and happened to look at the window in the building to my left- and there was a guy in his kitchen, chopping some basil leaves and frying some tomatoes in a pan. I actually stopped and stared and had this intense yearning to go cook something. Sigh. I miss cooking up meals. I love those times when you just have to make do with what's the in the fridge. It fuels creativity. 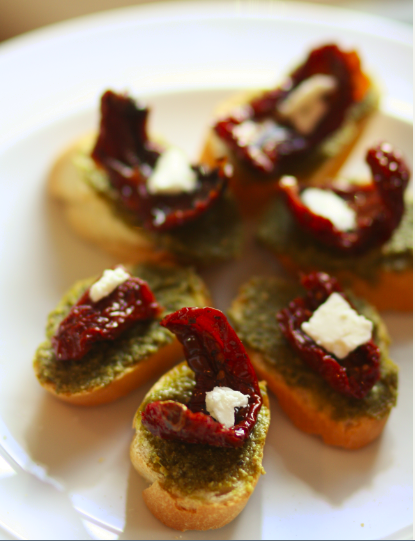 And so today, I created two little bites that would be perfect for a snack- or a canape (I feel like being fancy). 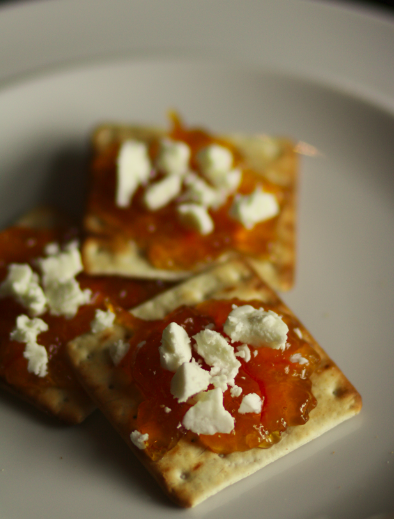 First one is crackers with marmalade and feta cheese. I was so tempted to try the marmalade and feta combination and Yasmin at Red Panda Bakes said she has them all the time! And so I piled them on top of little crackers and bit into them. 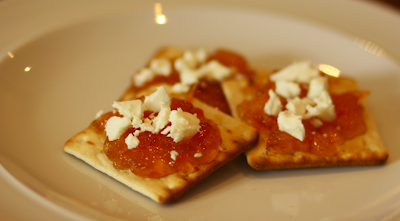 Spoon a generous teaspoon of marmalade over the cracker and top with crumbled feta cheese. That's it! Next, I made bruschetta. I was GOING to make risotto and bought all the ingredients for it.. BUT, ended up forgetting the onion and garlic. And right now I'm not bothered to go down to the Tesco Express and buy any. And so I sliced up a mini baguette and spread some basil pesto on each slice. I topped each with a piece of sundried tomato and some feta. I thought the whole thing was going to be rather salty but surprisingly it wasn't! And they looked pretty cute.. If I may say so. Spread a teaspoon of the basil pesto. Yes, eating is part of the procedure. 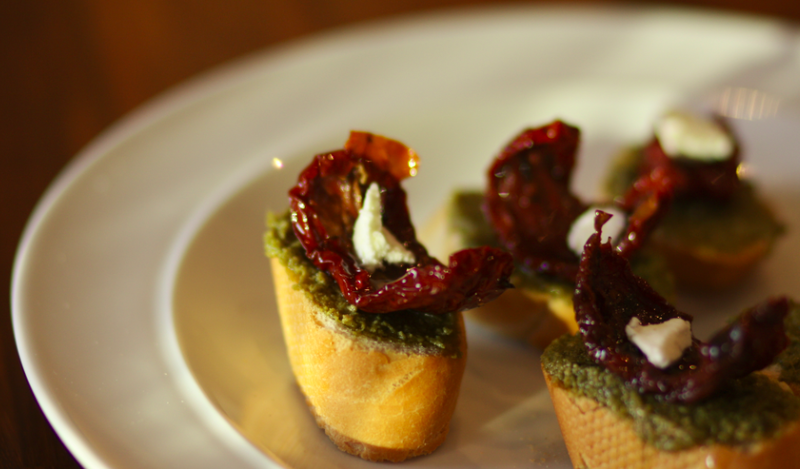 Lovely canapes, they look gorgeous and delicious!